Sign up for a live presentation and guide the conversation! 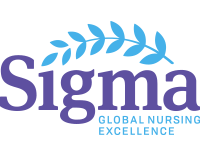 As a member of Sigma, there are a lot of opportunities for you to get involved and make the most of your membership. This session will take you on a tour of Sigma's virtual platforms and show you how to design your membership experience. Please note that all times listed above are in Eastern Time. When you click on a link to register, you can switch to your time zone, to receive customized reminders to add to your calendar.